I hike a lot, but most of my hiking consists of day hikes in New Hampshire’s White Mountains. I do quite a bit of solo hiking, but I haven’t been able to justify spending the money on a satellite communicating device. 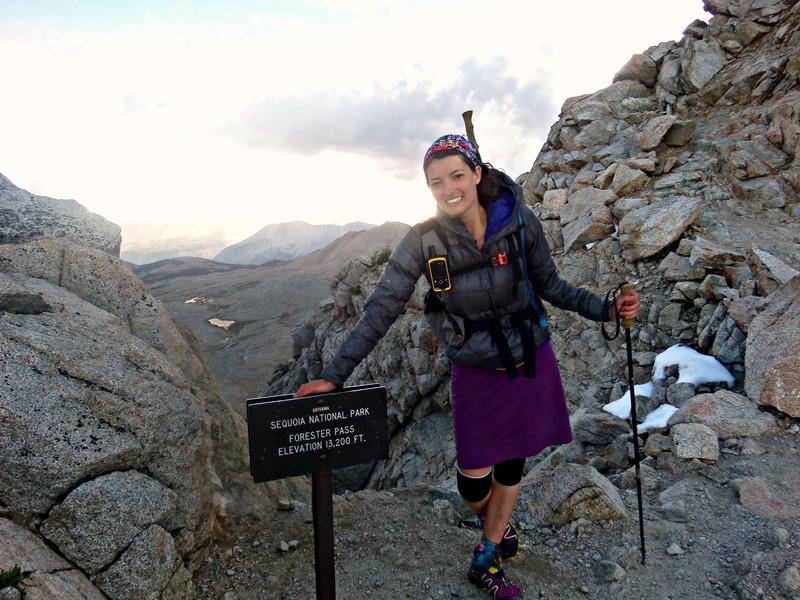 Even when I made plans on solo hiking California’s John Muir Trail, it wasn’t on my short list of new gear and upgrades I needed before the trek. My parents, however, knew they would feel much more comfortable with me being 3,000 miles away if they could at least see my progress. 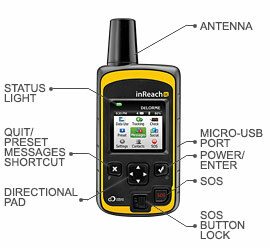 The InReach SE Satellite Messenger allows you to send and receive messages, track your location and status, as well as SOS and it weighs only 6.7 ounces. It has a lot of really great features, but a few drawbacks to consider. Before you hit the trail, you have some prep to do. 1) Set up the device- sync it, set up contacts, create preset messages, and connect to social media if you’d like. This can all be done via their website. 2) Test it out- I hiked in Lassen Volcanic National Park before I began the JMT to test out all the features. You can even test it walking in a park, driving a car, riding your bike; just get moving and send a variety of messages. 3) Talk to your InReach contacts- Let them know what to expect. I let my family know that I would turn the device on each morning when I left camp and would likely turn it off if I had a lengthy afternoon break as well as when I arrived at camp at night. I would send one message per day (either preset or custom) to check in. I would also have the device tracking every four hours. With this information, it gave people at home a realistic expectation of my communication and peace of mind. They would not be worried every time they didn’t see constant progress and call the area ranger! And that gave me some peace of mind. I really like how the messaging on this device works. Like most, I love to hike to get away from it all so I wasn’t so keen on being “connected” all the time. Luckily you can limit the number of messages you send out/receive and you have full control with how connected you really feel. You can either send a preset message that you setup before you hit the trail or choose through Delorme’s commonly used quick messages. You use the directional pad to type your messages. While it does have predictive messaging, it is a little time consuming to type this way. I didn’t write lengthy messages so it wasn’t a big issue. 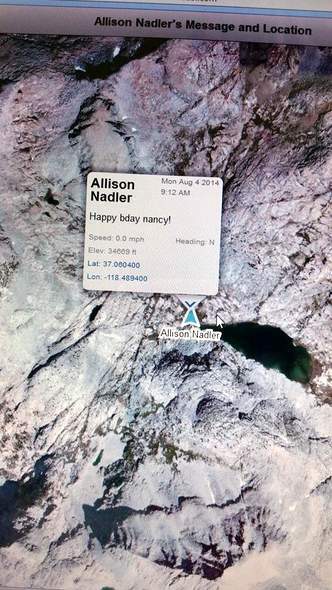 Who doesn’t want a birthday wish from the trail? This message was sent to my contacts and Facebook in just a couple of clicks! Both my contacts and people on Facebook can view a map with a click on the link. I really like how it gives out a chirp when a message sends or you receive one. This is a great feature as you aren’t constantly looking at it to see if your message sent. You can send messages to cell phones, emails, and social networks. You need to connect your social networks in advance for this feature to be used. You can also choose to send to all your contacts or pick certain ones. In the event of an emergency, you can trigger an SOS, receive delivery confirmation, and then have a two-way text conversation with the search and rescue monitoring center until help arrives. The Delorme InReach SE is said to last 100 hours, based on transmitting one track point every 10 minutes with a clear view of the sky. I easily got six days before charging it by tracking each hour (instead of every 10 minutes), adjusting the screen’s brightness, and turning it off when I arrived at camp. I used an external battery pack to charge it. Your trip can be sent online via Delorme’s website and a link can be shared to anyone you please. This can include close friends and family or even a blog or facebook page. Your track sharing options range from every 10 minutes to every four hours. The longer the interval, the less accurate it may be. For hiking on defined trails, I found every hour to be a good balance between accuracy and battery life. I was concerned that I would accidentally hit the SOS button. It is easy to engage if needed, but you have to use a separate button to unlock it before you can push it. You can also cancel the SOS if for some reason you do both steps mentioned. As mentioned earlier, you can communicate with rescuers which is really useful. It’s also good to notify folks at home the situation that occurred or quickly explain that you used your SOS button to assist someone else. The subscriptions fees can get steep. 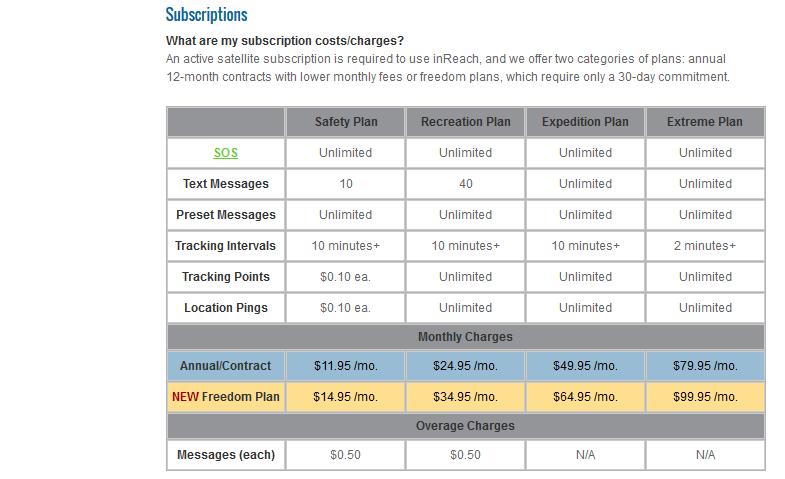 I used the freedom plan for my hike and found the messaging limits to be more than plenty for me. I do not keep the device active throughout the year as (for me) it is overkill on typical outings. 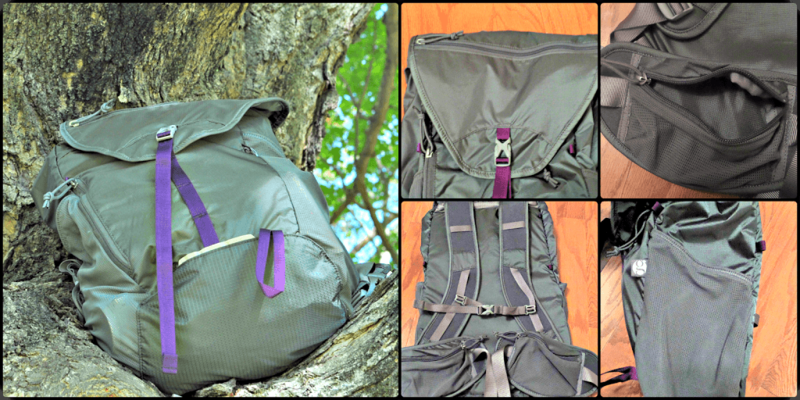 I may activate it again for some winter hiking and look forward to using it on longer treks. 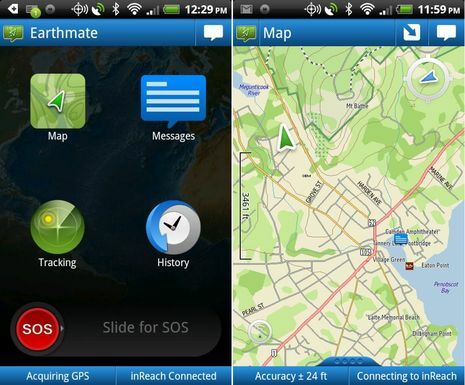 You can also download the Earthmate app on your smartphone for easier messaging and downloadable maps. I have the app on my phone, but did not use it to conserve my phone’s battery life. The JMT is also a well defined trail and I didn’t need more than my paper maps. After my hike I liked how I could select a date range and see the breadcrumbs. I used this information at the end of each of my journals as the data corresponded. I recommend it for those going on long distance hikes or destinations where cell phone use is unreliable. 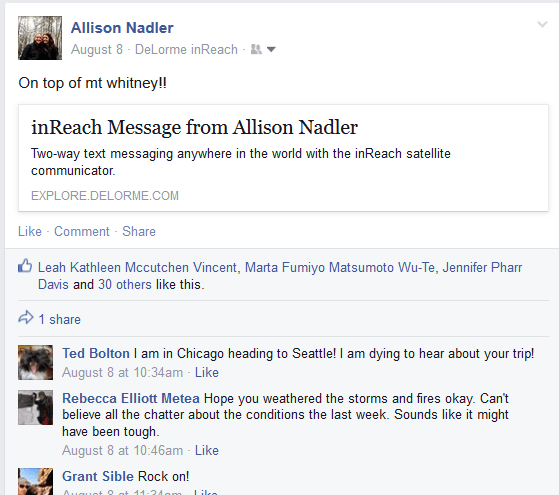 It was reassuring for those at home to view my hike via the Delorme map as well as send and receive occasional messages. Excellent concise review. I like the two-way option over the Spot. Love your site.